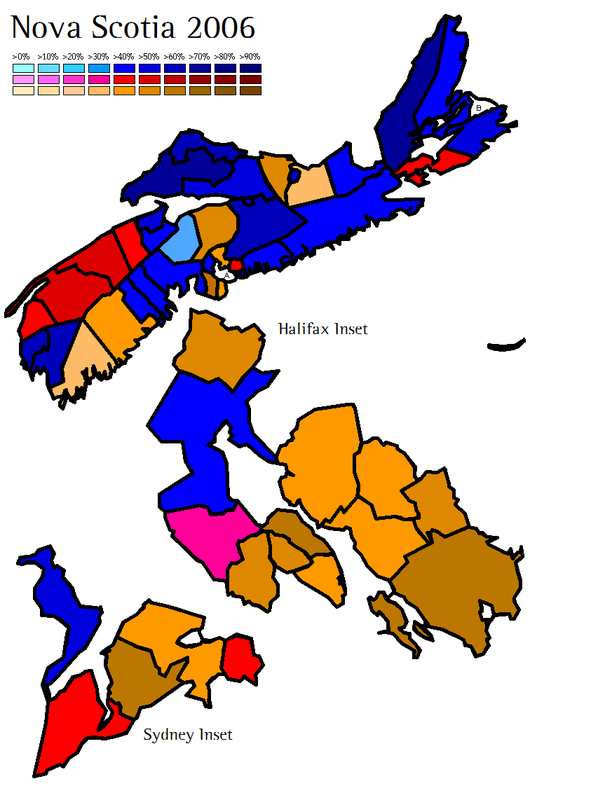 The usual party colors (Tory blue; Liberal red; and NDP Orange) are shaded according to the margin of victory winner’s percentage of the vote in each seat. Insets offer closeups of Metro Halifax and Industrial Cape Breton. Written by amateur cartographer Gael L’Hermine, a dual French (Breton) and Canadian (Quebecois) citizen living in Ottawa, World Elections offers historical data and analysis on selected elections around the world. It includes a somewhat quixotic political history of Nova Scotia.